This leaflet is about criminal proceedings in the Netherlands. If you have been charged with a summary offence, your case will be heard in a subdistrict court: if the charge concerns an indictable offence, the case will be taken to a district court. This leaflet contains useful information for anyone who has been summonsed to appear in court on criminal charges, and who is not in pretrial detention. The summons will have been sent to your home address. The procedure is slightly different if you are in pretrial detention. You can obtain more information about this from the remand centre. The leaflet describes the procedure in a district court, but a hearing by a subdistrict court is almost identical. You can appeal to a district court to review a judgement given at first instance by a subdistrict court. If your trial was held in a district court, your appeal will be heard by the Court of Appeal. You can only appeal once. lf you are still dissatisfied with the outcome, you can lodge an appeal in cassation with the Supreme Court. For further details, see the section entitled Appeals. The summons sets out the charge, or indictment, against you. This is the offence you are alleged to have committed. The summons also tells you when and where your case will be heard. You may feel that you have been wrongfully summonsed. In this event, you should notify the registrar of the court. You must do so no later than 8 days after receiving the summons. Send a written notice of objection to the court in which you have been summonsed to appear. Set out as clearly as possible the reasons for your objection. For example, you may feel that the case has been taken to the wrong court, or you may consider yourself not guilty of the charge against you. The court will consider your objection and may wish to question you about it. If it decides that your objection is unfounded or inadmissible, your case will be heard as arranged, at the time and place stated in the summons. Seek advice from your lawyer before lodging an objection. You are under no obligation to appoint a lawyer to represent you. You are allowed to present your own defence. Nevertheless, anyone charged with an indictable offence is strongly advised to engage a lawyer. If you decide to so, contact a lawyer as soon as possible to give him or her time to prepare the case. If you cannot afford legal representation, your lawyer will apply for legal aid, but you will nevertheless be required to make a means tested contribution towards the costs. You can obtain further information about this from your lawyer or from a legal aid advice centre. Another leaflet entitled 'How to go about getting Legal aid", contains information on state funded Legal aid. If you are in pretrial detention, you will automatically be assigned a lawyer free of charge. You may ask for a different lawyer if you wish, but you will then have to pay at least part of the fee. You are strongly advised to engage a lawyer even if you have admitted to the offence or if you intend to do so in court. A lawyer knows the ropes and knows what you can expect. If a person was injured or disadvantaged in any way as a result of the offence, they may ask the court to award damages. If their application is granted, the damages have to be paid by the person convicted of the offence. The court registrar will have a file concerning your case, with police documents, documents from the public prosecutions department, etc. You may examine the file, but you should make an appointment in advance to do so. You may copy any of these documents or ask to have them photocopied. You will be charged for any photocopies you order. You can also leave this to your lawyer, who will in any event want to seethe file in order to prepare your defence. The public prosecutor may summons witnesses or experts to give evidence in court. In this event, their names will appear in the summons sent to you. You are likewise entitled to call witnesses or experts who might be able to provide important testimony on your behalf. If necessary, you can ask the public prosecutor to subpoena them. You will have to pay the costs of having witnesses or experts appear at your request (summons, travel expenses, accommodation, et c ) . If you intend to bring any witnesses or experts with you or have them subpoenaed, you must notify the public prosecutor, either personally or by registered letter, at least 3 days before the trial. You should state their names, addresses and occupations. The public prosecutor will ensure that they are summonsed or subpoenaed. However, the public prosecutor may refuse to summons certain witnesses or experts. If so, you will be duly notified. If you object to this decision, you can ask the court to instruct the public prosecutor to summons them. 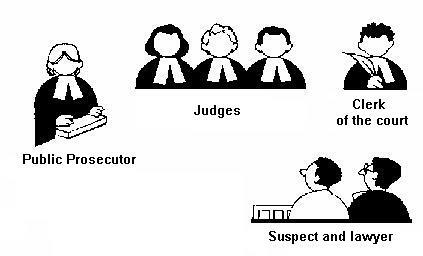 Witnesses or experts who are subpoenaed by the public prosecutor are obliged to appear and testify in court. See the leaflet entitled Getuige in een strafproces (available in Dutch only) for further details . You can have the trial deferred if you can satisfy the court that you have not been able to prepare your defence. You will be asked to give reasons. The case will also be deferred if you are unable to appear in court at the appointed time, for instance due to illness. You should address your application or have your lawyer do this on your behalf to the registrar of the court at which the trial is to be held. Applications should be submitted as soon as possible after receipt of the summons. You are not obliged to respond to the summons or to appear in court. In this event, the public prosecutor will ask the court to hear the case in your absence. As a rule, your lawyer will not be able to do much for you if you choose this course. However, the court may refuse to hear the case in your absence. The trial will then be deferred and you will receive another summons. If you do wish to respond to the summons but not appear at the trial, you should write to the court, stating your views on the charge set out in the summons. The court may take this statement into account when passing judgement. If the court considers it essential that you appear at the trial, it can instruct the police to bring you to court. Court hearings are generally open to the public; your relatives and friends may therefore attend the proceedings. The press is also allowed in court. If there is good reason for barring the public from a trial, the case is heard 'in chambers". Members of the public, and the press too, as a rule, are asked to leave the courtroom. If you want your case heard in chambers, you or your lawyer should request the court accordingly at the beginning of the session. If you don't know which room has been reserved for the hearing, ask the reception clerk at the courthouse. You are normally expected to wait in the corridor. You will be asked to go into the courtroom when the trial is due to begin. 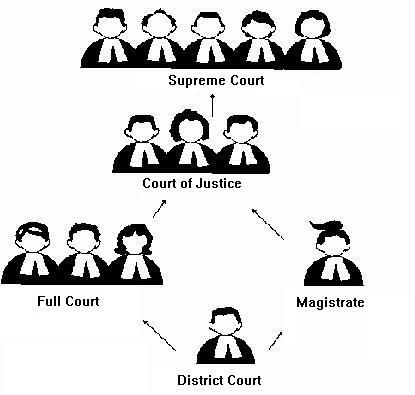 If you are appearing before an examining magistrate or a subdistrict court judge, the people you will see in court are: a judge, the clerk of the court and the public prosecutor. If your case is to be heard in the full bench division of the court, there will be three judges, the clerk of the court and the public prosecutor. The judge sitting in the middle is the president. The judge will first ask your name. You will be instructed to pay close attention to the proceedings, and reminded that you are not obliged to answer any questions. The public prosecutor will then read out the charge against you as set out in the summons. If any witnesses or experts have been summonsed, their names will be announced. If any witnesses or experts whom you have invited are not mentioned, you should say so immediately. If you fail to do so, the court is not obliged to hear them. Witnesses and experts have to swear on oath or affirm that they will tell the truth, and they are obliged to answer any questions put to them. They are first questioned by the judge. Those who have been summonsed by the public prosecutor are then questioned by the public prosecutor. At this point, either you or your lawyer may question them. The sequence is reversed for witnesses and experts whom you have called. Witnesses are questioned one at a time. The judge will ask the others to leave the courtroom so that they do not hear each other's testimony. When all the witnesses and experts have been heard, the judge will ask if you wish to comment on their statements. The judge will then tell the court what documents your file contains (police reports, reports from the probation and aftercare board, etc). Both you and your lawyer are allowed to examine these documents at the office of the court registrar before the trial. lf you want any of these documents to be read out in court, you may ask the judge to do so. However, the judge may refuse if the case is sufficiently clear. The judge will now start questioning you. As a suspect in the case, you are not obliged to answer any questions, nor do you have to take an oath or affirmation. When the judge has finished questioning you, the public prosecutor expresses his opinion of the case. In the Dutch system, the public prosecutor also tells the court what he considers a fair judgement and what the sentence should be. The judge, however, takes the ultimate decision. After the public prosecutor has expressed his views, you or your lawyer are given an opportunity to present your defence and give the court any information which you think might be in the interest of your case. The public prosecutor is allowed to respond to this, but you can then reply if you wish. The suspect is always given the chance to have the last word. At the end of the hearing the judge gives a ruling and announces the sentence. You will either be acquitted or found guilty, or the case may be dismissed. If you are convicted, the court may sentence you to a fine, a term of imprisonment or detention, or community service. The court can also impose various measures in addition to the main sentence. Certain rights may be revoked, such as your driving licence, or goods may be declared forfeit. In some circumstances, the court may place a convicted offender under a hospital order. The nature and severity of the sentence depend on the seriousness of the offence and the circumstances in which it was committed. If the court decides to impose a fine, it takes account of the offender's financial circumstances. In cases heard by a subdistrict court judge or by an examining magistrate, judgement is usually pronounced immediately after the hearing. They will also say whether an appeal can be lodged against the judgement. If you do not intend to appeal, you can say so there and then. However, if you wish to consider the matter, you have two weeks in which to decide. District courts (full bench divisions) do not usually hand down a judgement immediately. At the end of the hearing, the president tells the court when judgement will be given. It must be given within 14 days of the hearing. You will receive another summons to attend this session. However, you are not obliged to appear and may ask the court registrar to inform you of the outcome. If this is what you decide, you should submit a request without delay so that you have time to appeal against the judgement if you wish to do so. If you wish to appeal, you should notify the registrar of the district court or subdistrict court within 14 days of the judgement. Your lawyer or anyone else, whom you have authorised in writing, can do this on your behalf. The public prosecutor may also appeal against a judgement. You will be notified if this happens in your case. An appeal means that the case is heard again by a district court or a court of appeal. The procedure in either case is much the same, and is organised along the same lines as the first hearing. A court of appeal, however, is always presided over by three judges, while the case for the prosecution is brought by the advocate general or procurator general. If your case is closed and you have not been sentenced to a fine or other penalty, you may apply for reimbursement of the costs you have incurred. Applications must be submitted within 3 months. You will not be eligible for reimbursement if you were found guilty but were not sentenced because of your personal circumstances (i.e. pardoned by the court). The costs which you can declare are travelling expenses, accommodation, lawyer's fees and any other expenses you may have incurred in connection with the trial, such as the cost of calling witnesses or experts.  You can also claim reimbursement for loss of income as a result of the trial. You can ask for a refund of expenses relating to both the court trial and the preliminary judicial investigation. Send your application to the registrar's office at the court in which your case was heard. They will also be able to answer any questions you may have. The following leaflets are available, free of charge, from the Ministry of Justice, Information Department, Postbus 20301 , 2500 EH The Hague. For information about lawyers" fees see the folder 'Zo rekent uw advocaat"